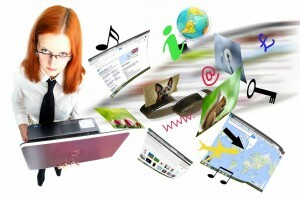 Content marketing has become an art form via blogs. Google the term, blog, and you’ll see millions of search results. At last count there were 190 million blogs. So you face serious competition for readers’ eyes. That’s especially true if you want to be known as a go-to informational site in your niche. Of course, you know that content is king. Search-engine algorithms will accord you maximum respect if your content is meaty, and each article contains at least 700 words. A background in journalism helps, but isn’t necessary for success. It’s a challenge to come up with meaningful topics on a regular basis, right? So how can you consistently develop new content? It’s possible even if you’re not organized enough to develop an editorial calendar. To be taken seriously, remember that content marketing doesn’t mean selling. It’s a turnoff for readers when they start reading a blog that reads entirely like an advertisement. OK, so now that we have discussed a pet peeve of mine, focus on providing value via thought leadership. Search-engine algorithms will accord you maximum respect if your content is meaty, and each article contains at least 700 words. 2. Develop a contemporary image by writing about a topic in current events and how it relates to your niche. Name-dropping of companies and people play well on search engines. Provide an analysis of your insights. 3. Write about the secret to success on topics. Expose a myth about conventional wisdom. 4. Use a Q&A format in interviewing credible experts or authors. 6. Readers love checklists. You can develop an authoritative image if you can provide valuable advice. 7. Solve problems for your readers. If you’re a B2B blogger, remember most business owners or senior executives want to save time and money while increasing revenue. 8. If you’re brave, give your opinion on controversial issues. 9. Write an overview about a study, white paper or research study. 10. Predict trends and thoughtfully explain why. Readers love to look into the future. 11. Anticipate problems in your sector and provide solutions. 12. Publish a reader poll and write about the respondents’ answers. 13. Continually monitor your progress. Update your articles when plausible. Check your visitors’ data for insights about your readers — to learn how readers find you and to understand their preferences. So review their key search phrases, and the list of referring Web sites and search engines, as well as other information such as which categories of topics are the most popular for your niche. You’ll learn your strengths and how you need to improve. These tips will help you avoid burnout for fresh content ideas. Again, focus on providing value and you’ll be successful. 9 Content Traits of the Best Blogs — In blogging, it helps to be trustworthy and a great storyteller. My sense is that the best blogs share nine common traits in publishing quality content. SEO: Strategic Primer for a No.1 Rated Blog — For a popular blog, you must understand the process — important basics in search engine optimization (SEO). If you’ve been blogging for awhile, you know success doesn’t keep come automatically. SEO is arduous work. You must have a strategic blogging goal. 25 Best Practices for Better Business Writing — If you want to accelerate your career or turbo-charge your business, one of your priorities should be good communication.